In Pennsylvania, there are a number of forms of business entities including corporations, sole proprietorships, partnerships, limited partnerships and limited liability companies. Choosing a business entity is important for liability and tax considerations but also because individual businesses have varying demands for more or less structure in their operations. That’s why business entity formation is a critical process to business success. 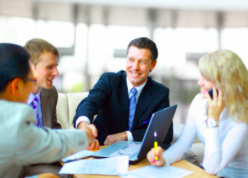 The attorneys at Sebring & Associates have decades of experience in guiding clients through the entity formation process and continuing entity operations. Our business clients range from large established companies to individuals just starting a business. Contact us if you have a question about business formation. Preparing and filing trade names with the Pennsylvania Department of State. Businesses that have separate legal status apart from their owners. Liability for investors (stockholders) is limited to the amount of their investment. Structure separates ownership and control which allows stockholders to invest capital in the business without becoming involved in management. The corporation is separately taxed for any profits and the shareholders are then taxed again if the remaining income is distributed to them. Shareholder relations may be governed by the execution of a shareholder’s agreement. Transfers of share ownership can be restricted. 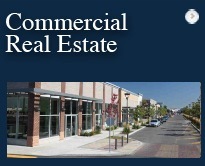 Individually owned businesses that have no separate legal status apart from their owner. Unlike the corporation, the owner of a proprietorship controls and operates the business. The lack of a separate legal structure means the proprietorship is easy to operate and more flexible than other business entities. The owner is subject to unlimited liability for any contractual or tort damages. The proprietorship is not taxed separately; income and expenses are passed directly to the owner. An association of two or more persons carrying on a business for profit as co-owners. Ownership and control is not separate which allows the owners to control the business and its assets. Allows the partners flexibility in operating their business. Operation will generally be less expensive than a corporation. 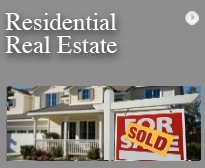 Income and expenses are passed directly through to the owners. Partners subject to unlimited liability for contractual or tort damages. Partner relations can and should be governed by a written partnership agreement. A partner may be restricted in such agreement from selling his/her interest in a partnership. An entity that has a general partner that operates the business and one or more limited partners that contribute investment capital but do not participate in management. Liability of general partners unlimited for tort and contract claims. Liability for limited partners is limited to the amount of their investment but the general partner remains subject to unlimited liability for any contractual or tort damage incurred in the partnership’s business. Limited partners may invest capital in an enterprise without requiring them to become managers. Simplicity in management is still available. Relationships between the partners are governed by a written limited partnership agreement. Transfers of partnership interests may be limited by the limited partnership agreement. An entity that allows its members the corporate benefit of limited liability and the partnership benefit of one level of income taxation. An LLC can be member-managed or manager-managed. The liability of members is limited to the amount of their investment. Members may invest capital without becoming involved in management. Aforethought: Relationships between the members are governed by a written operating agreement. The operating agreement may restrict transfers of membership interests. Have questions about forming a business entity? Call at (412) 856-3500 or contact us with any questions or if you need our services to set up the right type of entity for your particular business needs and goals. 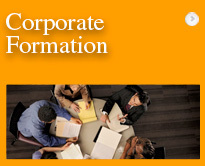 Read more about corporate formation.